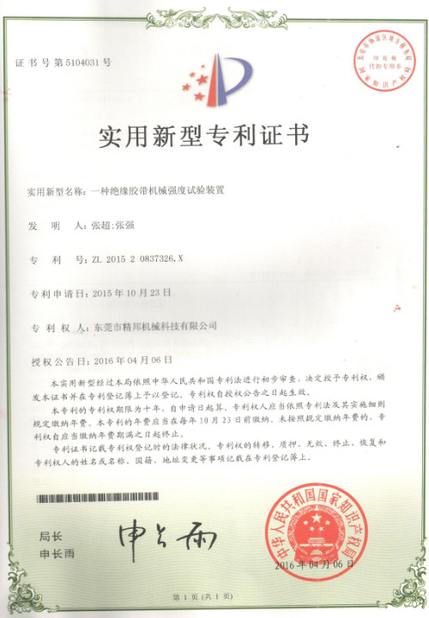 IEC62133-2012, JIS C 8714:2007, IEC62281-2012. This machine is suitable for conducting mandatory internal short circuit and battery compression test at a certain environmental temp. according to latest requirement of IEC62133 and Japanese industrial standard JIS C 8714:2007.Test chamber’s material is stainless steel with good temperature uniformity and exhaust function. Control system:PLC touch screen menu type operation;voltage data acquisition frequency:100t/s;Set up programmable test pressure through PLC:pressure holding time,measured pressure,battery voltage,battery temperature and rate of pressure drop. 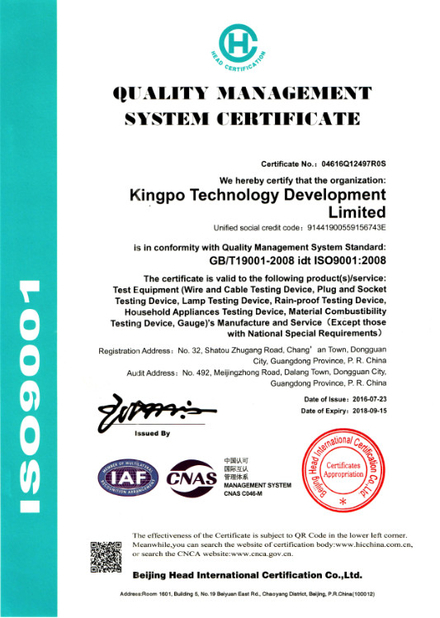 Standard basis: IEC62133-2012, JIS C 8714:2007, IEC62281-2012. Original imported European and American hermetic compressor using environmental refrigerant and world famous components as well as imported LED push-button controller. 5. Breakdown and test finish alert. American high precision AMCELL/ SUNCELL power sensor with 100KG capacity and power within ±0.5%F.S. (3) user-defined voltage measuring range.When PLC reaches the required data(e.g. rop to50mv),device stops operation. (2) Derive data from RS232 serial port. 17. steps: Use standard pressurization tool to press on the part with small nickel of single cell at 0.1mm/S.At the same time,monitor voltage change of voltage acquisition’s output terminal(voltage sampling rate:100t/s) .When there are more than 50mV voltage drop or reaching the required pressure(cylindrical battery 800N,square/rhombic battery 500N/ 400N),immediately stop the pressurization tool and keep for 30s and then remove pressure. 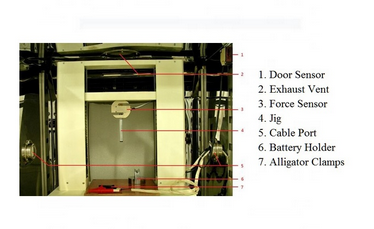 1 .The wire enclosed with metal fire-proof cover, which is available to prevent the flame during testing process. 5 .Wire hole provides a possibility to test internal temperature or air pressure while vent hole with air blower can discharge the exhaust air. 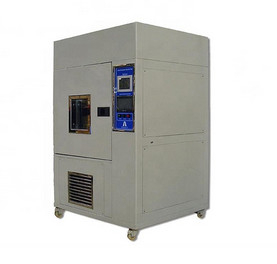 6 .Control system employs independent control cabinet & separated with the test chamber with a distance 1-2 meter, which can reduce the noise and improve safety.